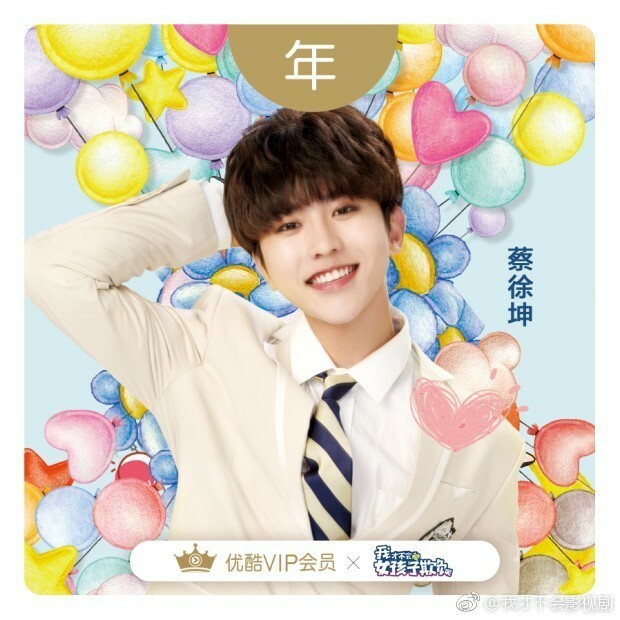 Watch Idol Producer Winner Cai Xukun's New Drama Premiering Apr12! 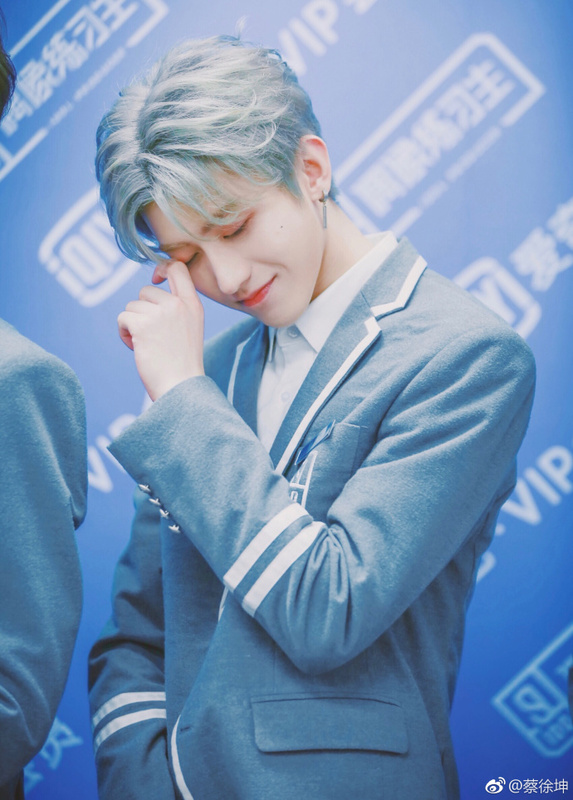 Fresh from his win from Idol Producer last Friday, Cai Xukun, will be making his acting debut in a new drama that is slated to show today, April 12, 2018, on Youku titled, I Will Not be Bullied by Girls 我才不会被女孩子欺负呢. He plays Ye Lin who is a cute, silly, outrageous and cool character that thinks he's really smart, but is actually not. 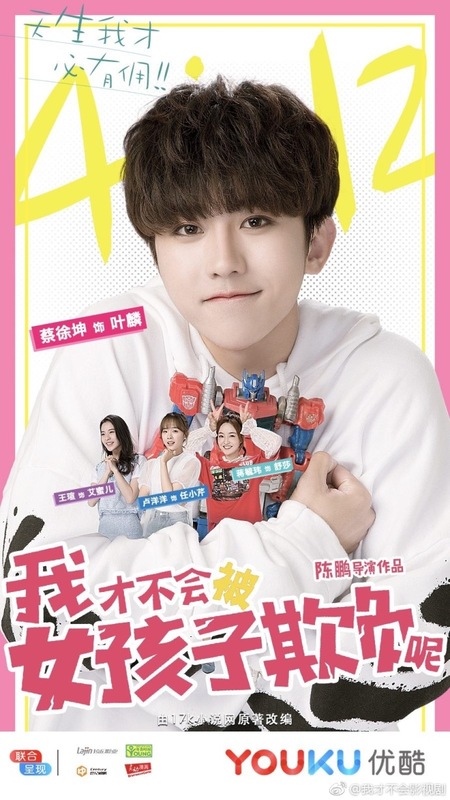 The story follows Ye Lin, a student of Qing Lin High School, as he suffers through the bullying from three female students without even realizing it. 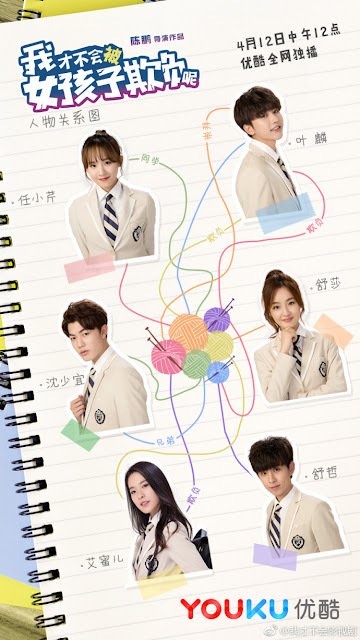 The show also stars Lu Yang Yang who plays Ren Xiao Qin, the transfer student that is in love with Ye Lin. Wang Hao who plays the rebellious and self-confident Amy and Jiang Ye who plays Shu Sha, the high school class leader. He's such a cutie! I love him so much uwu I really hope this drama does well and I'm so excited to our center boy's acting! !